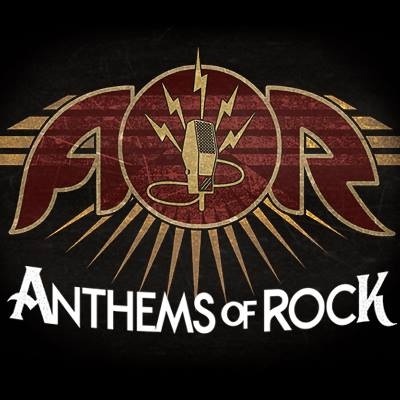 In ANTHEMS OF ROCK show, we feature many vocalists to choose from for any particular shows or festivals. The Lawn Boys bring you the intricate music and experimentally heady jams of Vermont's favorite jam band, Phish. They re-create the music, style and sound of Phish as well as mix in their own quirkiness, they are after all Phish fans and love to not only play this music but also play the delivery and audience. Make sure to see them at a venue or festival near you! 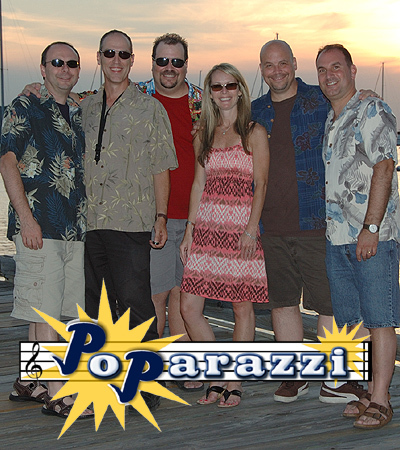 Emerging out of the Suffolk County Area on Long Island in New York, Poparazzi broke onto the local pop and wedding scene in 2005. 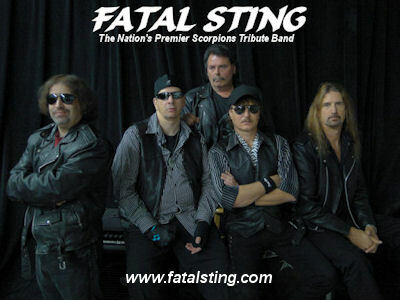 With each band member having more than 25 years of experience performing, they are sure to make any occasion a memorable one. Whether playing local clubs, corporate parties, private functions, or weddings, this fun, high energy, sing-along band makes you leave any event wanting more! Poparazzi is a unique type of band. Featuring five powerful lead vocalists, they are able to reproduce virtually any musical style. From Sinatra to Barry White, Joan Jett to Donna Summer, Billy Joel to Prince, Carrie Underwood to Beyonce, or Journey to Bon Jovi, unquestionably Poparazzi can play it all! Poparazzi was founded by Tony and Joe Sidito. 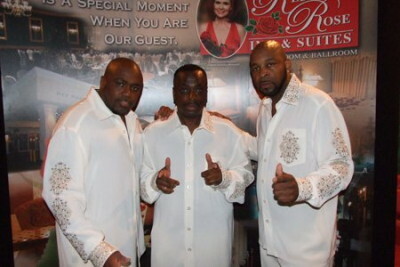 This unique brother team will personally get involved in the musical planning of your wedding or event. They are always available to help make your occasion just a little easier. Fronted by Beth Davis on lead vocals, George Massey on drums and percussion, Steve Pont on keyboards and saxophone, Michael Irizarry on rhythm guitar, Tony Sidito on lead guitar, and Joe Sidito on bass, Poparazzi combines their distinctive blend of fun, excitement, and elegance into every venue they perform. Your guests will leave endlessly raving about your wedding or party. For an experience that’s anything but ordinary... Poparazzi is sure to make your special event pop! MANDRAKE is a Brazilian born singer that has performed with numerous bands in South America and North America along his career including Sacred Sinner,Tailgunners,Judas Priest's MetalMeltdown and The Smoking Guns. To better acomplish his dreams and goals in the music industry, he decided to live in the City of Angels. He is currently the lead singer of Axehammer, a cult classic power metal established in the 80's and now his passion for Motley Crue has brought him to become Motley 2's own Vince Neil! Darryl Strucke Darryl Strucke Darryl Strucke started playaing guitar at 13. His first stage apperarance was in 9th grade playing "Looks That Kill" for a lip sync. He started playing bass later, then bought a bass while attending college. He joined "From The Heart" after graduating, and has been playing bass ever since. Influences: Death Angel, Slayer, Exodus, Metallica, Dragon Force, Anthrax, Testament, Overkill, Sepultura, Manowar, Kreator, Flotsam & Jetsam, Devil Driver, Nightwish, Dream Theatre, Helloween, Queensryche, Ratt, Dokken, Skid Row, Cinderella, Keel, Night Ranger, Stryper, Faster Pussycat, Poison, Judas Priest, LA Guns, Iron Maiden, Armored Saint, Duran Duran, Flock Of Seagulls, Berlin, U2, The Police, Missing Persons, Cyndi Lauper, The Cars, The Cure, Devo, Michael Jackson, Rush, Journey, Blue Oyster Cult, Motley Crue. Mark Hagen Mark Hagen (on lead guitar) got his first taste of Rock & Roll when he was a young boy thanks to a few older brothers who were into the music of Cream, Hendrix, Led Zeppelin, Alice Cooper, and The Who to name a few. This music was deeply absorbed into Mark's consciousness and would fuel a lifelong passion for music. Mark studied playing guitar at 14, and shortly after started garage bands before performing in a power trio for 800 people in a large auditorium at his high school talent show. Mark's group did not win the contest but made him a hit with the high school kids, while it made him an instant outlaw with high school authority figures. After high school, Mark relocated to LA and shortly thereafter began playing the Hollywood club circuit before increasingly larger audiences and prominent legendary clubs. Guitar Influences: Hendrix, Eric Clapton, Jeff Beck, Edward Van Halen, Randy Rhoades, George Lynch, Ted Nugent, Jimmy Page, Stevie Ray Vaughn, Robin Trower, Eric Johnson, and Gary Moore. David Lee David Lee David Lee began playing percussion in high school as a means to avoid class. He joined his first rock band after graduation while attending college on a percussion scholarship, only to have the demands of the rock band overwhelm his academic pursuits. His first band created the opportunity to contribute to writing originals and his first real recording experience. He also spent over two years traveling and performing, using that experience to develop his style. Realizing his musical aspirations extended beyond the Midwest, David relocated to California to attend Musician’s Institute in Hollywood and soon after established himself with the local LA scene. This led David on a 14 month coast-to-coast tour in support of an independent release CD. Joining a Motley Crue tribute band is David’s way of paying homage to one of his favorite drummers and recognizing his roots; aggressive, hard-hitting drumming with plenty of style. D.O.A.) Save! Pre-Order Sale Price Available> http://www.cduniverse.com/productinfo.asp?pid=9004194&style=music Scheduled to release Tuesday, September 17, 2013 on the Mri --Red-- label. O2O) Save! Pre-Order Sale Price Available> http://www.cduniverse.com/productinfo.asp?pid=9004195&style=music Scheduled to release Tuesday, September 17, 2013 on the Mri --Red-- label. 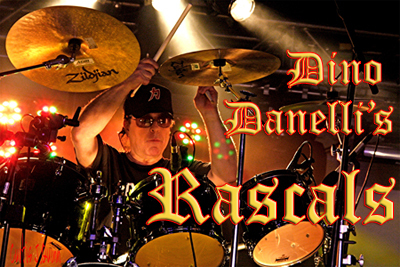 Joining Rock and Roll Hall of Fame's original Rascals drummer Dino Danelli Danelli is guitarist Mike Pinera of Iron Butterfly & Blues Image, on bass, New Rascals Charlie Souza (formerly with Tom Petty), and keyboardist Richard T Bear of Crosby Stills & Nash, The Blues Brothers, Kiss & Cher! MY NAME IS GREG HILL MOST OF YOU KNOW ME AS A MEMBER OF GRAMMY AWARD WINNING GROUP THE DELFONICS FOR THE PAST 15 YEARS ,BUT I HAVE BEEN IN THE MUSIC BUISNESS FOR OVER 30 YRS ,I HAVE RECORDED & PRODUCED MUSIC THAT WAS RELEASE & DISTRIBUTED BY CAPITAL RECORDS .I HAVE TOUR ED ,RECORDED ,PERFORMED OR WORKED WITH THE CONCEPT ,WIL HARTS ,ORIGINAL DEFONICS ,NEW EDITION ,TEDDY RILEY & RICK ROSS ,JUST TO NAME A FEW SO NEEDLESS TO SAY MY RESUME SPEAKS FOR ITSELF . 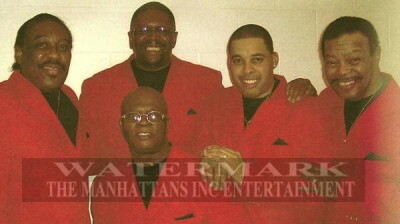 Legend has it that george smitty smith edward sonny bivins ,winfred lovett kennenth kelly and richard taylor came to call themself The Manhattans ,because as tenage singers in jersey city ,New jersey,they dream about the big time while gazing across the Hudson river at the manhattans skyline, its a nice story,but unfortunately it is not true , in fact the name came from a cocktail known as the manhattan thats made from wiskey vermont and bitters. At the age of 46, Jimmy D. Lane has already led quite a full life. The musicians he knows makes for an impressive resume. He has worked with Eric Clapton, Mick Jagger, Jim Keltner, Keith Richards, B.B. King, Van Morrison, Jonny Lang, Gary Moore, Double Trouble, Taj Mahal, Stephen Stilles, Jeff Healy, Jimmie Lee Robinson, Lowell Fulson, and Snooky Pryor, Kim Wilson, Pinetop Perkins, Johnny ‘Big Moose’ Walker, Johnnie Johnson, Kim Wilson, Robert Plant, Jimmy Page, Harry Hypolite, George ‘Wild Child’ Butler, David ‘HoneyBoy’ Edwards, Weepin’ Willie Robinson, Little Hatch, Nancy Bryan, Willie Kent, Henry Gray, Lazy Lester and Eomot RaSun. He has also worked with venerable blues greats such as Sam Lay, Hubert Sumlin, Carey Bell, Dave Meyers and his father, the legendary Jimmy Rogers. Most recently, he has two songs on the "Experience Hendrix" DVD...released in 2008. He performed with Mike McCready, Double Trouble and Hubert Sumlin, on the project. Jimmy's song "Tears Without A Shoulder" is featured in an episode of "In Plain Sight" (The Trojan Horst). It's Official!!! Jim Anderson has just teamed up with DeCristo Productions as his Management and Promotion Team. Jim has asked that Fred White, owner of DeCristo Productions, saddle up and take the reigns. "Fred and I go back a long ways. He has laways been there behind the scenes pushing me to do better and to be more successful. He has always helped me from behind the scenes. I think it is about time that he steps to the front with me and everyone sees how much work he really does. He is a fantastic promoter, manager, and producer. Better than that he is a great friend. He genuinely cares about the me and the show. He has always treated me like family. I cannot wait to see what is in store for the both of us in the future. Maybe I should call him Colonel Fred White, like Elvis did with Colonel Tom Parker...Yeah that is a good name for him..." Fred has been in business with DeCristo Productions for years and has promoted, managed, and produced some great talent and great shows. We all look forward to seeing how far they can push the envelope. 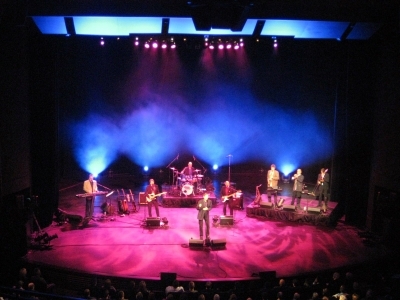 on stage February 4th, 2011, making a guest appearance at a benefit) Jim Anderson continues to provide clients with one of the best Early Elvis Presley Tribute Acts around. 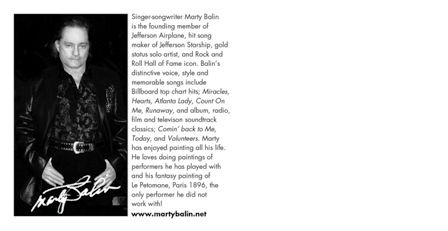 He began singing Elvis music very early in life and has always had 100% feedback with all of his shows. His tribute to the King will leave you breathless and wanting more. For those of you who had the opportunity to see Elvis Presley in the first half of his career(1954-1966), this show will bring back all you favorite memories. For those who never had the opportunity to see Elvis, this show will take you back in time. Come join the excitement as so many Elvis Presley Fans already have. This show is so full of energy and excitement, that it will have you at the edge of your seat! (Jim as the role of a Detective in an upcoming TV Series) As Jim kicks off his acting Career, he looks to eventually obtain his SAG & AFTRA eligibility. With both TV Series & Feature Films under his belt he continues to push forward looking for his next role. He is excited to be acting and loves the work, although he admits that it isnt as easy as he thought it was. "It is alot of mental work. It is easy on my body , so it doesn't hurt my knees, back, and shoulders, however, it does require alot of thinking, rehearsing, and remembering of your lines and actions." We hope to see him on the Big Screen someday! Jim was raised in Manteca, CA, since he was in 5th grade. His father was stricken with Lou Gerhigs disease when Jim was only in the 6th grade. Jim and his mom spent day and night taking care of his father. His father Ted, lived with the disease for 23 years. Jim learned quickly that you never take life for granted. He later graduated from East Union High School in 1986. Jim Anderson began performing in 1986, when he was talked into being part of a variety show. After the crowd reaction he was immediately booked for several small venues. He continued singing and performing as the venues got bigger and bigger. In 1992, Jim decided to step off the stage, hang up his first passion, and he pursued a career in Law Enforcement. Jim was both a Sonora Police Officer and a Stanislaus County Deputy Sheriff, until he was forced to retire from his job as a Sheriff. He retired due to injuries sustained in the line of duty. Through several surgeries over the last several years, he was told that he would never be able to return to a law enforcment career. During the course of the surgeries, Jim was diagnosed with a large blood clot that he was told he was unlikely to survive. After being in critical care and a hospital bed at home for long periods of time, Jim climbed out of bed and has continued to rehabilitate himself ever since. He still relates that some of the best times of his life were as a Sheriff. "You cannot beat the Stanislaus County Sheriff's Department. They are wonderful, ethical, and hardworking men and women. I love them all and miss them every day. They have to be one of the best agencies in the world." Jim felt that the descision to retire from Law Enforcement was fate leading him back to his first passion of music. He decided to pursue music once again in 2010. He knew there would be alot of work ahead of him but knew that he had always had a longing for it, even as a Sheriff. Jim is looking forward to hitting the stage and building a fanbase nation wide. "I am truly excited to be coming back to the stage. I have missed it severely and it has always been my first passion." 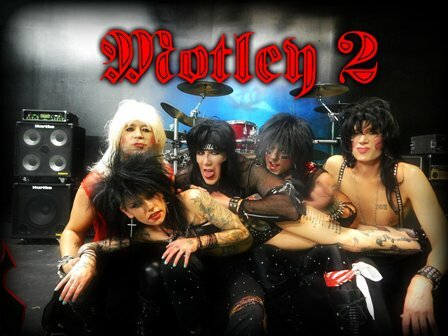 He plans on debuting his show in several venues in 2011, and if what people are saying is true, it should be "One Hell of a Show!" 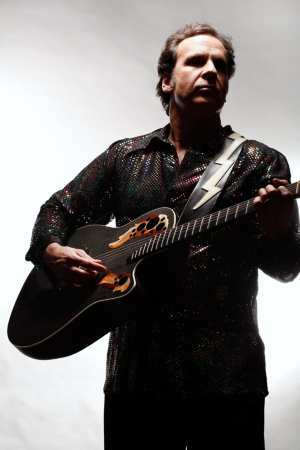 Jim will be in the recording studio in the Fall of 2011 to record his first album he is titling, "Unfinished Business". Jim's musical influences come from a wide variety of entertainers and styles: Country, Boogie Woogie, Rockabilly, Blues, and Gospel. Some of his favorite entertainers are: Elvis Presley, Muddy Waters, Etta James, Little Walter, Toby Keith, Tim McGraw, Kenny Chesney, Johnny Cash, Brad Paisley, Stanley Brothers, Larry Sparks, Hank Williams Jr., Kid Rock, amongst several others. In what was described as "A wonderful show" by The Elton John AIDS Foundation, The Rocket Man Band gives an exciting performance, time after time, featuring gorgeous EXACT replica costumes, an 8 foot RED piano, Elton John's greatest hits and an ultra-modern laser and LED light show. (over $10k worth!) - NO cheese and NO cheap Party Store costumes here! 100% LIVE and energetic, this is a magical, musical journey down the Yellow Brick Road. People will laugh, cry and dance - not always in that order. With hundreds of live performances under our belt, ranging from smokey, hole in the wall biker bars, to casinos, festivals and cruise liners, The Rocket Man Band actually portrays Elton John's intense 80's years down to the very finest detail. This is no cheap, novelty cabaret impersonation. We don't do fake, staged or lip synching videos. We leave that to the other guys. Watch our LIVE videos. Look at our LIVE photos. What you see is what you get. Those are REAL gigs and those are REAL audiences! We are also endorsed by The Official Elton John Fanclub. 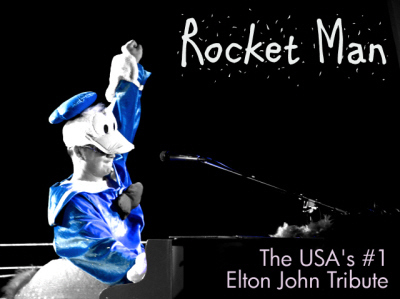 Based in Florida, Rocket Man is the USA's #1 full time Elton John tribute and sets the standard for world-class entertainment. We'll see you at the show! During the entire nineties, out of approximately 50,000 UK single releases, only 13 of these spent more than 5 weeks at No:1. 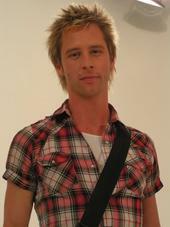 With five weeks at the top, the twentieth most successful release of that entire decade was ‘The One and Only’, the lead song from the soundtrack of the film “Buddy’s Song” sung by a 19 year old Chesney Hawkes. The intervening years saw Chesney go back to his roots, namely song writing, and to date not a week goes by without a new song, or at least part of a song, seeing the light of day. In 2001 Chesney embarked on a ‘mini’ tour with his four piece band. Initially intended to take in five dates, it continued to be extended due to the overwhelming response being generated by the performances. The tour of universities, colleges and clubs continues unabated . Add to this Chesney’s performances at a number of high profile open air summer ILR roadshows together with working abroad and the combined ‘live’ audience to which he has performed during the period is now approaching 1 million. Chesney has combined touring with appearing on Channel 4’s ‘Top Ten Teen Idols’, CD:UK, London Tonight, VH1, Popworld, Question of Pop, Banzai, Loose Women, Matthew Wright Show, This Morning, BBC’s The Cinema Show, Big Brother’s Big Mouth and Jonathan Ross on Radio 2. He has presented two shows for VH1/MTV and has taken part in a celebrity edition of The Weakest Link. Chesney has also taken part in Channel 4’s ‘The Games’ emerging a medal winner and has appeared on the Granada/LWT show ‘Hit Me Baby One More Time.’ He has also appeared on a Champion of Champions edition of ‘The Games’. Brimming with talented collaborators, producers on the album include Charlton Pettus, acclaimed for his work with Tears for Fears, Nik Kershaw who also co wrote the title song and some other song that Chesney had a bit of a hit with some years ago!! and Chris Nicolaides, fresh from his work on Mika’s Platinum selling album, Life in Cartoon Motion. Q. What happens when eight of Canada's most in - demand musicians and singers gather together out of a common love for the greatest jazz rock group of all time? A: BRASS TRANSIT - Canada's dynamic, crowd - pleasing, studio tight chicago tribute! The band's show includes all the hits from Chicago's golden age. With a world class horn section, a rocking rhythm section and vocals stacked sky high, BRASS TRANSIT transports its audience back to the freewheeling days of the seventies. The lights go down. The intro music begins. 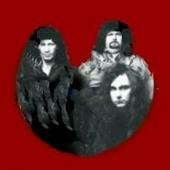 From the first chord, it is clear that OzzBorn is not just another Tribute band. OzzBorn is THE Ozzy Tribute band. There are many "Ozzy Tribute" bands out there, that are all doing their thing. The guys in OzzBorn respect them all & wish them well..
but there is no doubt that OzzBorn stands alone. With OzzBorn you get So much more than just an Ozzy Impersonator,with a band that doesn't make the grade. 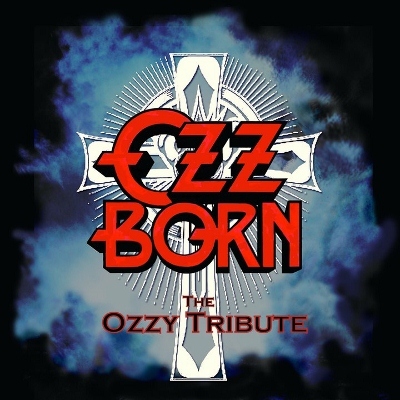 From the First song to the last, OzzBorn the Ozzy Tribute Band will Amaze you with their Musicianship, showmanship & ability to play the songs as well as any of Ozzys bands have. So..ALL ABOARD!! The machine that is OzzBorn The Ozzy Tribute Band is coming to a stage Near You! Strange Days is the ultimate Doors concert experience. 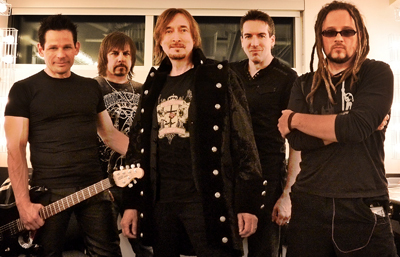 Formed and based in Los Angeles, California, Strange Days is the most impressive and realistic Doors tribute act in North America. They capture the magic...the mystery....and the madness of the Doors in their prime. Join them as they break on through to the other side. Founding members, guitarist Robert Carsten and keyboardist Michael Jacobson, each bring over a decade of experience playing in some of the most well-known Doors tribute bands around. Joining forces with singer Jason Tosta and drummer Matthew St. Malone, these seasoned musicians completed their vision of a perfect sounding and perfect looking Doors tribute band that transports audiences back to another time and era. By combining vintage instruments with the latest technology, Strange Days offers both an authentic on-stage look and unmistakable studio album sound. The result is a truly one of a kind show. Come see why audiences are raving, "The Lizard King Lives!"